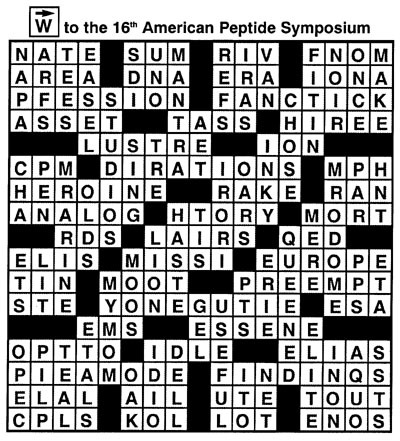 This was a special Thursday-ish puzzle (17x17) written for the 16th American Peptide Symposium (Minneapolis 1999). Click here for a printer-friendly version in PDF format, complete with instructions, and here for the solution. 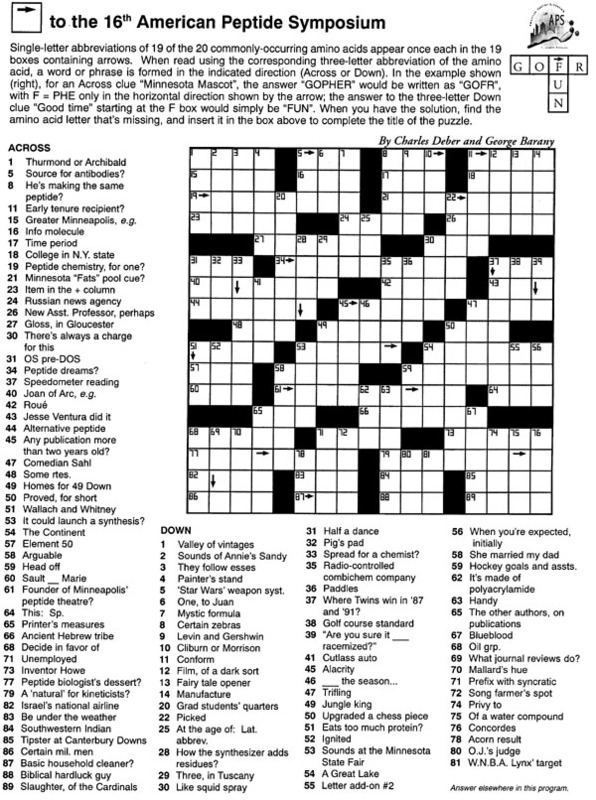 A reasonable facsimile of the original puzzle can be found here as a puz file [requires Across Lite software to play]; or here to solve the puzzle interactively (thanks to Jim Horne).